While this isn’t necessarily a problem in countries, such as India, where Nokia completely dominates, it flies in the face of network effects where the more people that join the network, the more useful the network becomes. Friend View, like any social network, only becomes truly useful if all or the majority of a user’s friends or contacts join. But to do this, they’ll have to use a Nokia smartphone too. That’s unlikely to be the case for all of a user’s social network, especially in the UK where competition amongst handset makers is fierce. Imagine if Nokia phones could only call other Nokia phones. That’s not dissimilar to how Nokia’s social networking strategy works. At least for now. If the company is serious about transforming itself into an Internet company, this is something I’m convinced they need to address. Video presentations of both services embedded below. Google is clever, has a mobile OS for lots of carriers and devices. It also has lots of services and they are not android dependent. 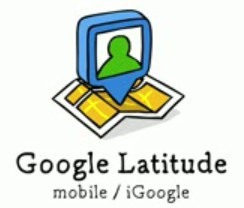 Latitude is a great example. I am not sure if you can build on top of latitude… like could you stick Brightkite on it? That would be cool.